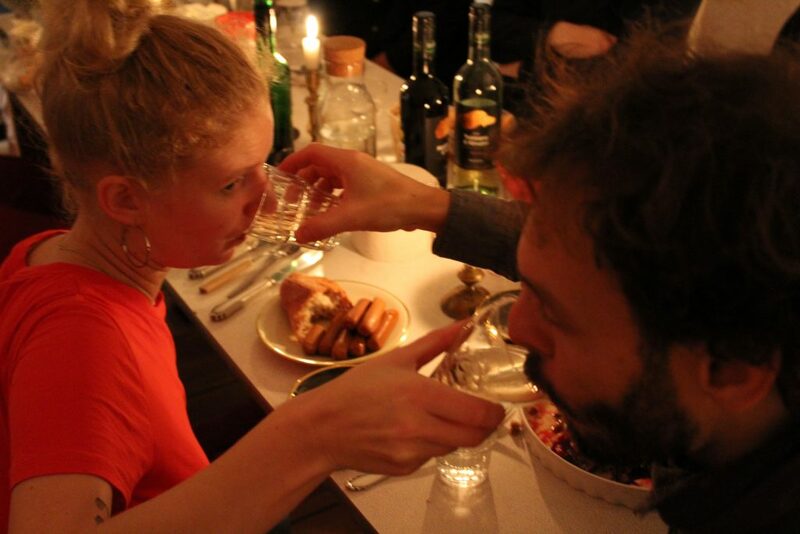 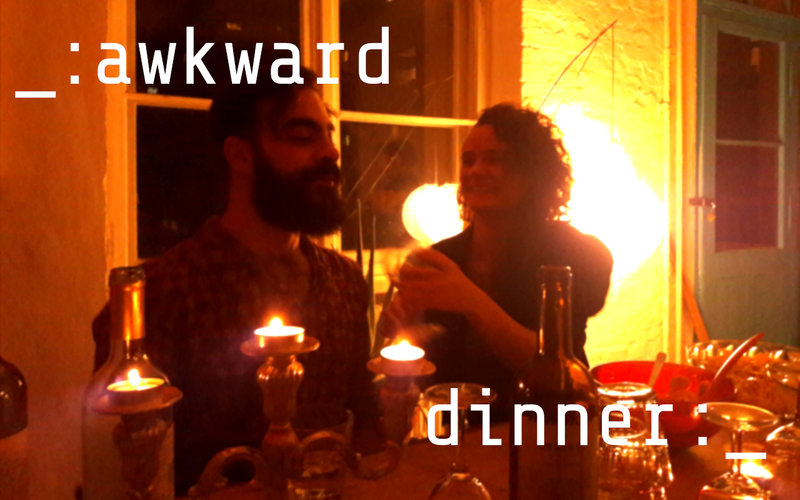 The Awkward Dinner is a dinner-party that focuses around the idea of awkwardness. 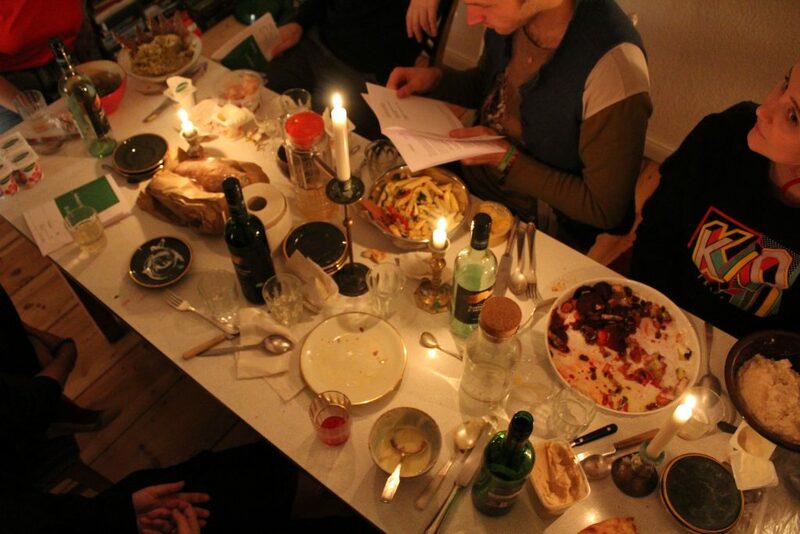 It changes the known protocol of dinners in a way that seems awkward at first, but finally ends up building new relations between its participants. 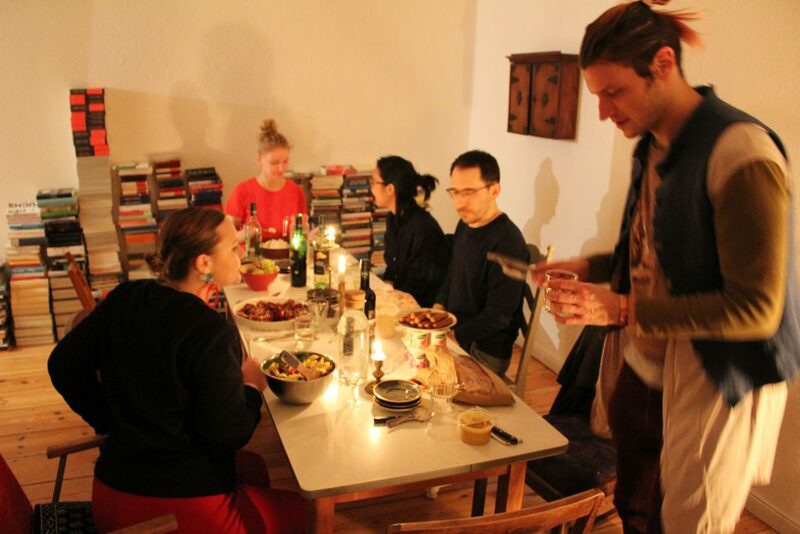 The main feature of the Awkward Dinner is that people are not allowed to feed themselves. 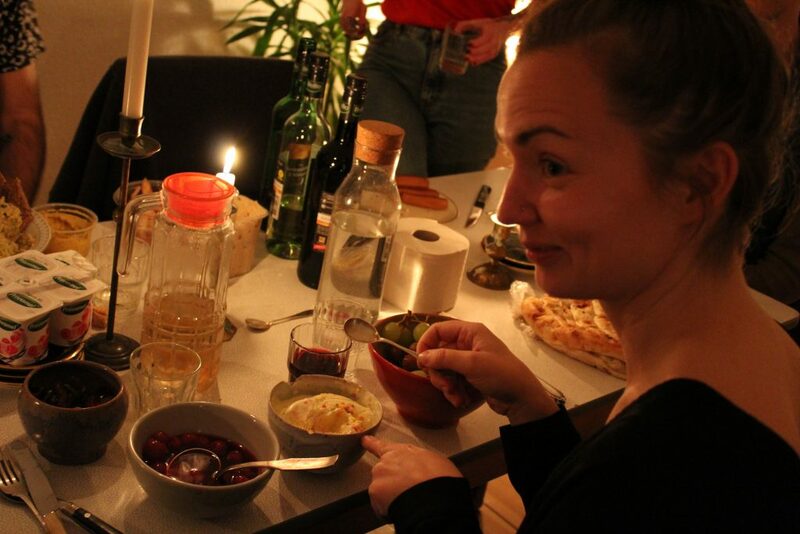 This cultural protocol is open licensed and can be used and hosted by anybody. 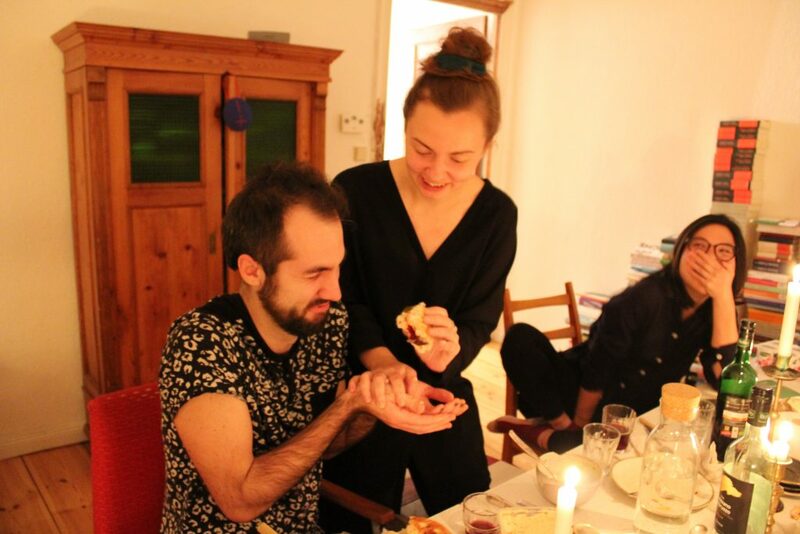 If you want to do so, please get in touch with me.